H/t to Twitter (what would I do without Twitter? What did I do before Twitter) for pointing me to this excellent interview with ex World Champion (and one of my favourite players of the current elite) Vladimir Kramnik. 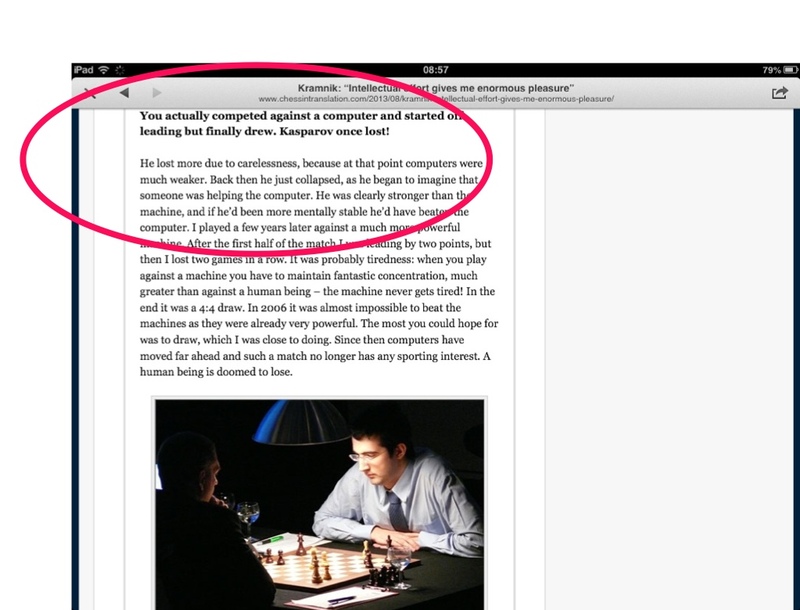 Firstly, on the 1997 Kasparov match vs Deep Blue, Vlad's comments are most interesting. In my previous blogs I had presumed that by 1997 machines were stronger even than Garry, but Vlad suggests otherwise, and it was a case of being spooked. 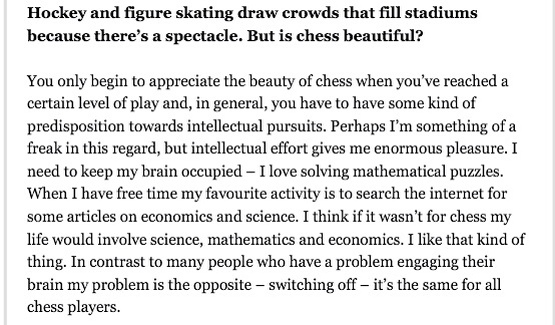 Secondly, his comments on can chess be beautiful – yes, incredibly so, once you reach a sufficient level- I find beauty and joy all the time in chess- and on how he relaxes. I think I am very like him- I switch off by thinking about precisely the same things. I don't know Vladimir at all well, but in the few chats I have had with him over the years, I have always felt great warmth to him: he is charming and interesting. Now I have a better understanding of why: we share the same interests.